The first time I laid eyes on a speargun it was summer of 1984. I had just turned eight and my best friend and I had discovered his older brother’s small pneumatic back-up gun stored carefully in a closet. How small? It was a 40cm Seac Sub ASSO. The plan was formulated within the next few days and it was perfect! Swimming pool glasses, a “borrowed” speargun, swim trunks, and 2 eight year olds’ eagerness to hunt fish. One boy would be in the water while the other would patiently wait his turn on the rocks. Winter time? No problem. Our pjs and socks gave us the placebo feeling of warmth while in the water. Within the next few years the glasses were upgraded to a mask and a pair of small flippers gave us some needed speed. The fish (mullets, sargo, seabream, mediterranean seabass) were ample and easy to shoot but bigger fish would require a bigger gun. At age twelve I had saved enough to buy a 50cm ASSO, a gun I still own to this day. It wasn’t until a year later and a bad scar on my chest that my father decided to buy me a wetsuit for protection from the sharp rocks. I confess that I have been obsessed with spearfishing ever since catching my first sargo. My name is Dr. Petros Yiannikouros and I am a life long student of spearfishing. Allow me to share my 30 year obsession with you. Our company materialized in September 2007 under the name Excelsior Group Inc in NY. At the beginning we were involved only with picking some of the best products in the US, mainly rubber and wooden spearguns, and exporting to Europe. In March of 2012 we decided it was time to try the other way around, importing the best of Europe and sharing with fellow spearos here in the US. At first it was carbon fins and euro spearguns and slowly expanded to a full line of products by various manufacturers in Europe mainly Greece. In December 2012 we finally took the big decision to convert our small garage operation to an online shop under the name Spear America. We research, review, and evaluate various equipment throughout the world in order to deliver top notch products to our customers.We are a retailer and a wholesaler of top quality products and we have the capability and the connections to import any product our clients desire. What you will find here besides your standard equipment is unique designs and technologies difficult for mass manufacturers to duplicate. We promise that our line of products will always be a step ahead. 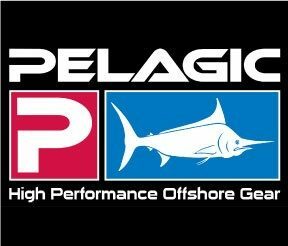 Our sole purpose was, is, and will be to serve the American spearfishing community. Our clients’ satisfaction will always be our top priority.